By now, it's clear that creating great visual content is critical for marketers -- and that's especially true on social media. As of 2017, Instagram has doubled its monthly active user base in the last two years, which means a lot more people are viewing and sharing photos in 2018. Plus, visual content is 40X more likely to get shared on social media than other types. In other words, people like to be shown, not told -- and in turn, they share. For that reason, it's important for marketers to know how to create compelling photos for their business' social networks and blogs. And while it can be worth putting the investment of time and money into photo editing software on your computer, many of us are exclusively using our phones to take pictures and could stand to edit them without uploading them to a desktop. That's especially true when you're posting in real time, like at an event. 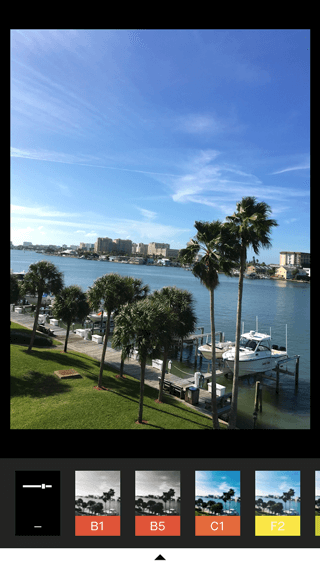 Luckily, there are numerous great inexpensive and free photo editing apps out there for mobile devices -- some of them even cost just a few bucks. But which apps are the best? Check out our short list of 12 apps below -- organized by apps that are compatible with both iOS and Android, apps offered just for the iPhone, and apps designed to edit face-focused photos. There was a time when I was a bit more old-school in my photo editing. 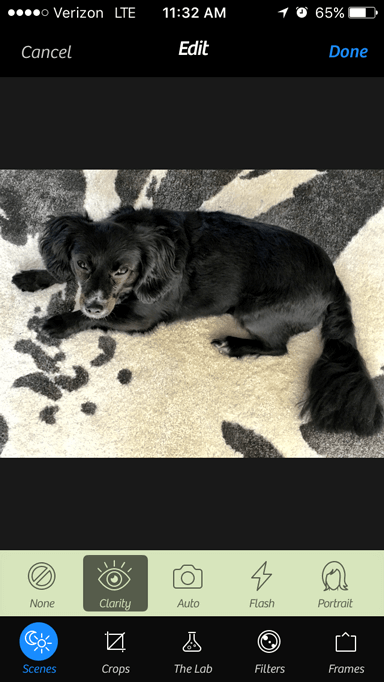 I counted on Instagram tools alone, sometimes combining them with the "enhance" feature on my phone's Photos app. Then, I learned about Afterlight -- a somewhat rudimentary tool, but one that has all the features you need to do a basic photo edit. From controlling the color tones, to adjusting exposure and brightness, to rotating and straightening a photo, it has everything you need for lighting or color fixes. It also contains 74 filters, including a Fusion feature that lets you mix tools, filters, and textures to create your own personal look. Into frames? 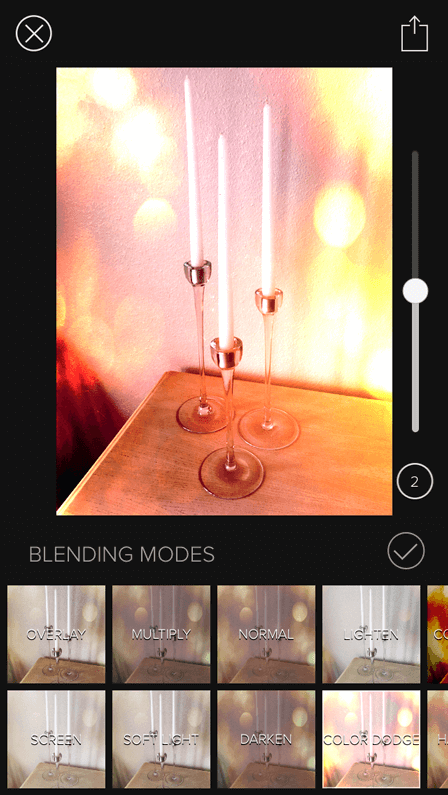 Afterlight has a whopping 128 to choose from, boasting a perfect pairing with Instagram. My favorite tools, though, have to be the ones for Brightness and Shadows. 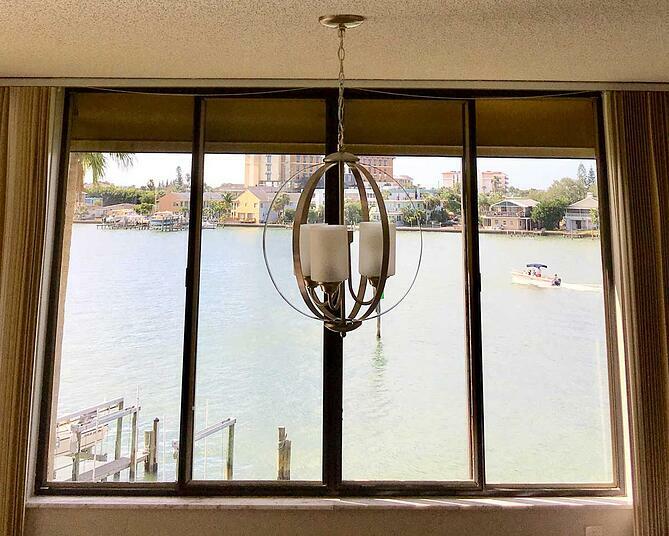 Some pictures do well with a decrease in shadows and increase in brightness for cleaner, fresher look. 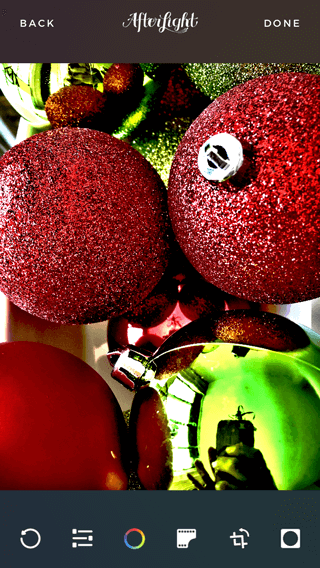 But flipping those around can also create a more mysterious, nighttime feel -- That's what I did with this photo of tree ornaments. 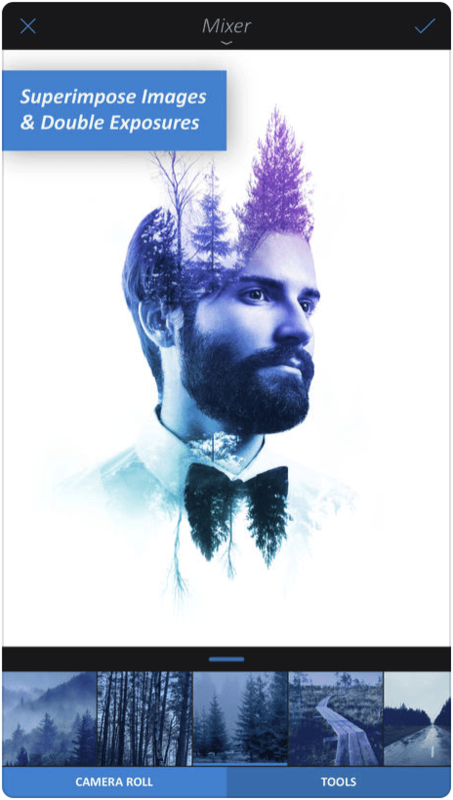 Believe it or not, Adobe Photoshop isn't just for your computer. Adobe Photoshop Express puts most of what people love about Adobe's popular photo editing program in their pockets -- lighting, color, and sharpness options included. 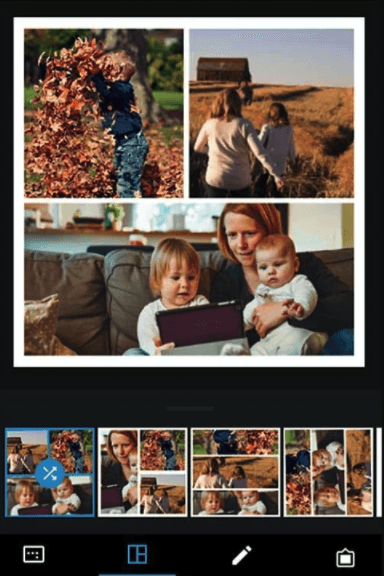 Photoshop Express is especially useful for making photo collages -- something the app's developers likely highlighted for mobile users who want to share many photos at once on Facebook or Instagram. 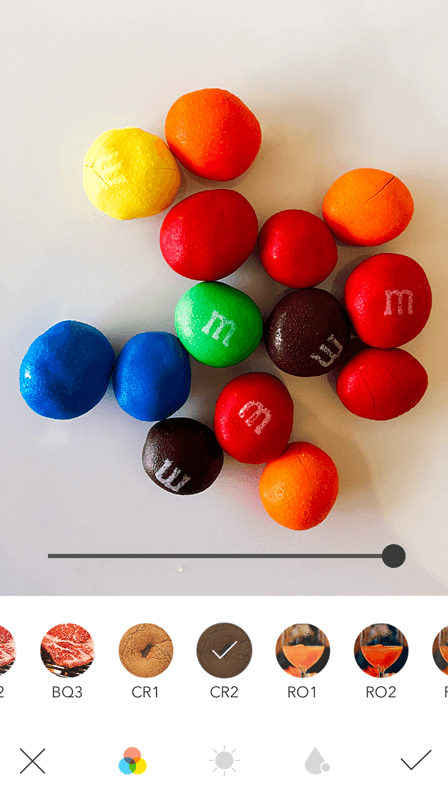 The app's "Decorate" setting even allows you to annotate your photo with digital stickers before saving and posting directly on social media. Although this photo editor makes Photoshop's best features easily accessible, keep in mind it does carry the natural limitations of a mobile app. Specifically, you can only upload JPG files smaller than 16 megapixels (MP). Nonetheless, what it does on a smaller platform is still super impressive. You should also try similar Adobe photo editing apps such as Adobe Lightroom and Adobe Capture. Snapseed is another app that's great for basic image enhancements. It's got all the classic adjustment tools, such as tuning, cropping, and straightening. Plus, its sharpening tool is one of the best we've seen -- it really does enhance a photo's detail, without making it look grainy, like many other photo sharpening adjusters out there. But what makes this tool particularly unique is its "Selective Adjust" tool. 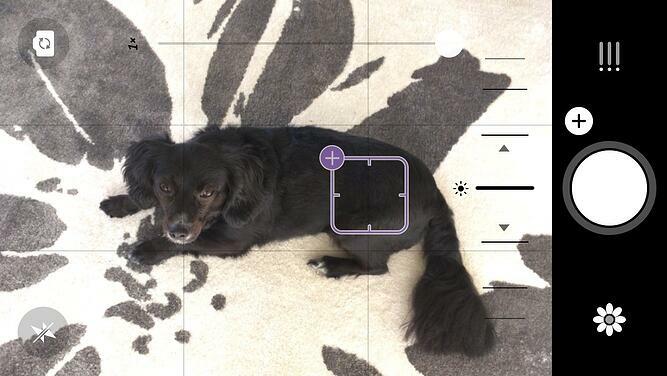 It allows you to pinpoint an area in a photo and adjust the brightness, contrast, and saturation of that single point. So if you want viewers to focus on a certain part of your photo -- say, the buds in the center of a plant -- then you can make the buds more vivid. 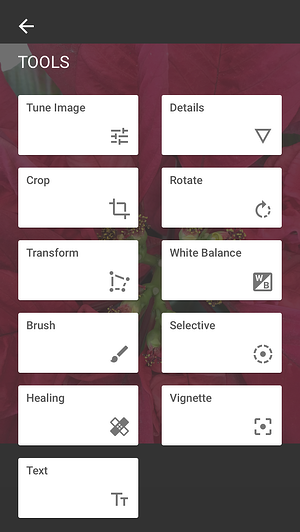 Want more help with Snapseed? Google, the maker of the app, created a dedicated support page with tips and instructions. Ever taken a picture of something straight-on -- a doorway, a building, your food -- and found the perspective was just a little bit askew or tilted? The SKRWT app lets you adjust the perspective of your photos to make the lines look clean and square. Have a look at what I was able to do with a simple window shot. At first, the "before" image doesn't look that skewed, but seeing the "after" version really shows what a difference symmetry can make. If it bugs you to see a photo that's slightly at an angle, then this app is well worth the dollar. 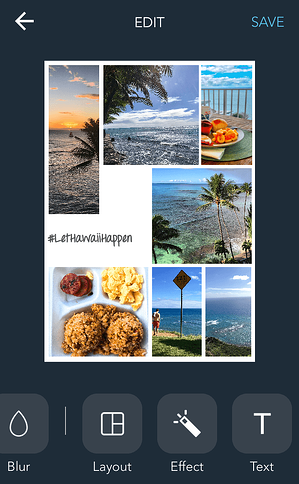 Collages made on Photoshop Express can be great, whether it's to show a comparison (like a before-and-after series), or to highlight multiple photos from the same event or theme. 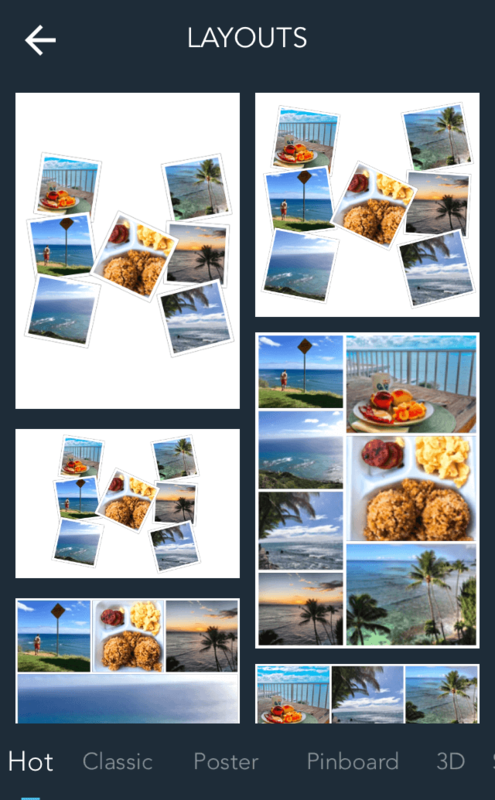 But our favorite photo collage app is Live Collage, mostly because of its wide variety of layouts. It contains several options for photo organization, both classic and fun, with interesting and colorful backgrounds. Plus, you can add customized text in different fonts, colors, and sizes. 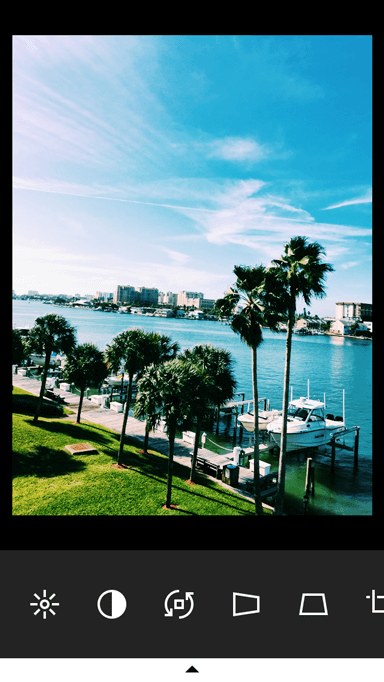 If you're strapped for time, there are basic photo editing options within the app, too, making it a handy one-stop shop. If you're anything like I am, your personal social media feeds are loaded with images of food. It's no wonder that food-specific apps are coming out of the woodwork to make photos look even more delectable. 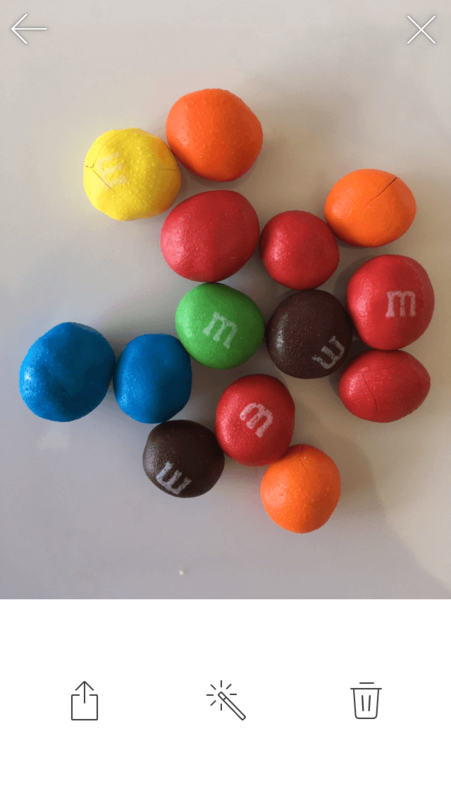 Called out by Bustle for taking "food pictures to some next level gorgeous," Foodie uses more than 30 filters and other editing features to turn what might otherwise be a humdrum snack into a visual feast. With the highest price tag on the list, you have to wonder what makes Camera+ so special. 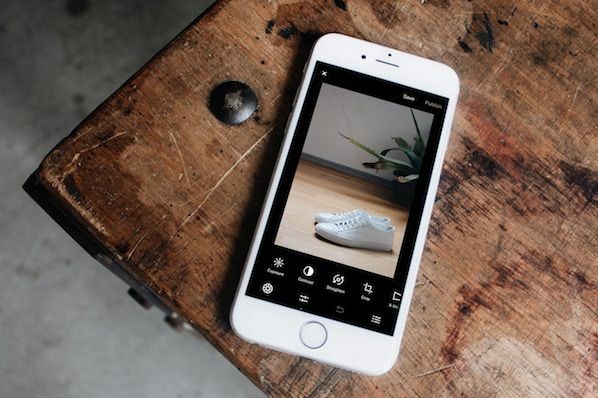 When it was first released, Lifehacker called it "The Best Camera App for iPhone," with TIME writing, "If the iPhone's standard camera is like a digital point-and-shoot, the Camera+ app is like a high-quality SLR lens." While the app has many of the classic photo editing tools like color tints, retro effects, and crops, there are a few gems that make it unique. First is its image stabilizer, which helps you capture the sharpest photos possible before you even take a picture. It also lets you zoom in up to 6X, which can really up the quality of your shot if you're trying to hone in on something far away. Finally, its Clarity filter is what The Wall Street Journal's Kevin Sintumuang calls its "secret sauce -- it adds pro-camera crispness to almost any shot." I'd have to agree -- just check out how it enhanced this photo of my dog. Mextures is one of the more advanced apps on this list -- and its crown jewel is layer-based editing. That allows users to stack different adjustment layers on top of each other, moving and editing them individually, allowing for nearly limitless creativity. You can also apply multiple filters, textures, and blending models to the same photo to create a really unique look. If you find an editing formula you really like, you can save it to apply to other photos later, or even share it with your friends. Here's what happened when I took a simple photo of candlesticks on a white background only and applied three enhancements -- Waterfront overlay, Bokeh Baby Overlay, and the Color Dodge blending mode. I'll just say how I feel: This app is incredible. Winner of the Apple Design Award in 2017, Enlight will change the way you see even the most ordinary picture the next time you open your iPhone camera. 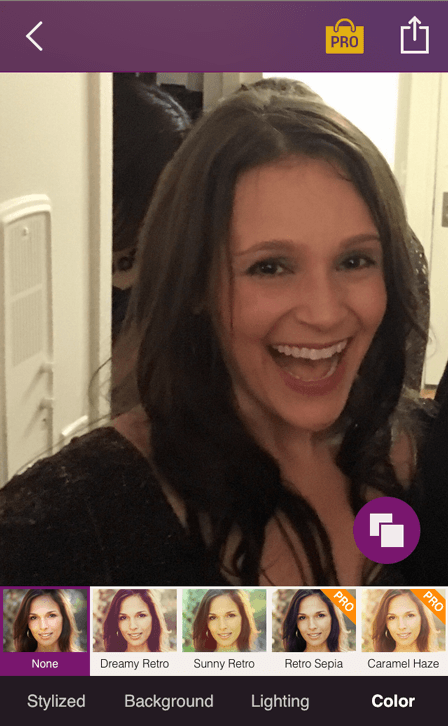 Among its 10 different photo editing features, the app's Photo Mixer allows you to blend multiple photos together -- or combine a photo with text -- for a super artistic result. 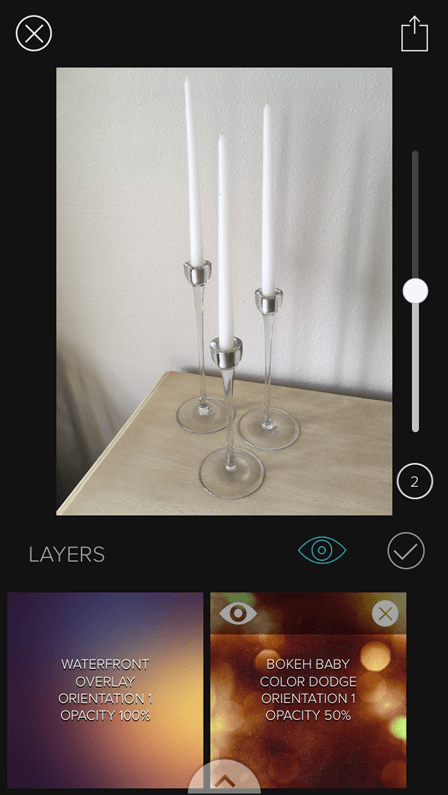 According to Les Shu of Digital Trends, Enlight is "a powerful Photoshop-like app, minus the steep learning curve." Check out a stunning example of what the app's Photo Mixer can do below. Never take a selfie you don't like again. Facetune is considered the top photo app in more than 120 countries, allowing you to make up for unflattering mobile photos with professional-level corrections to numerous facial features. 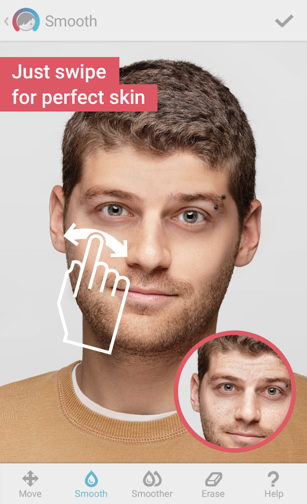 The app offers eight different types of corrections and enhancements to a person's face in a given photo -- including to the hair, eyes, skin, and smile. Taking a new professional headshot? I highly recommend you touch it up in the Facetune app before adding the photo to your LinkedIn profile (not that I don't think you're beautiful already). That said, when it comes to sharing photos of ourselves on social media, vanity sometimes enters the picture. Sound familiar? There's an app for that. 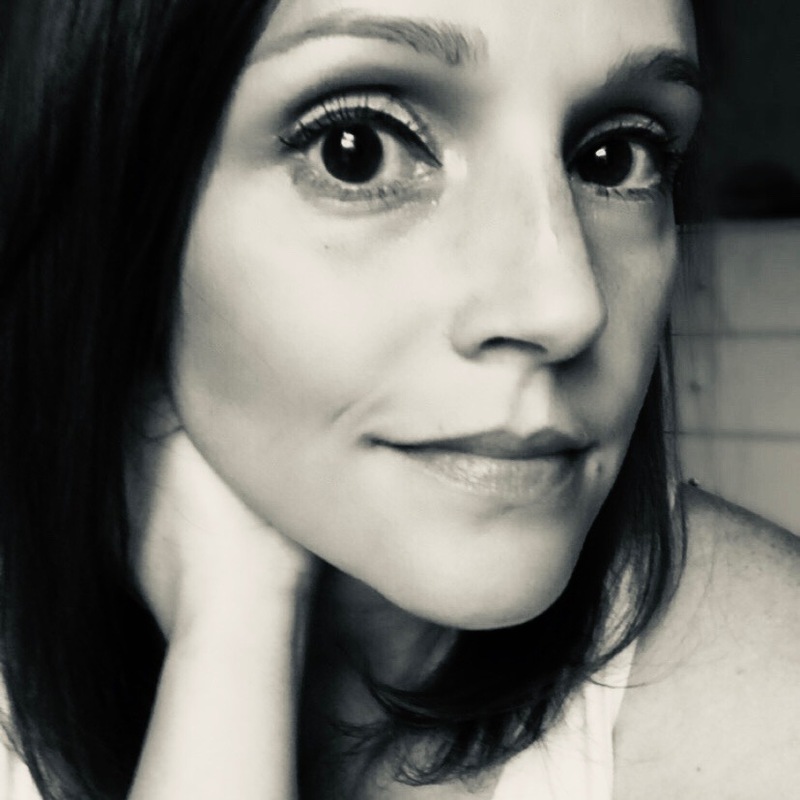 We like the Visage makeup editor, which instantly retouches photos and lets you add some special effects, like a "Pop Art Style" filter that can make your selfie look slightly Warhol-esque. 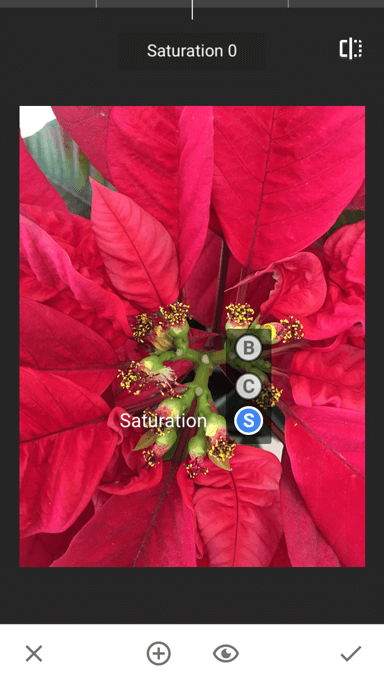 The app comes equipped with some interesting backgrounds, as well as lighting and color features, with more available for purchase. The only drawback? The free version is a bit ad-heavy, and unless you upgrade to pro, your finished product will be stuck with a branded hashtag at the bottom. 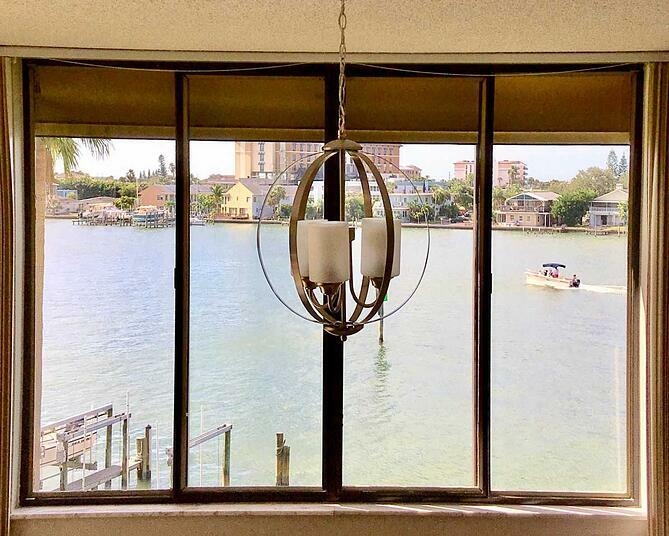 See how easy it is to create and share visual content? Of course, mastering these apps will require a bit of practice, but if you're unsure where to start, just look around you -- that's what we did when we tried each of them. Think about your marketing goals for this year. Then, ask yourself what kind of photos will help you accomplish them. From there, you can pick and choose the best apps from this list. So start getting visual. We can't wait to see what you create. Want to learn more about video editing? Check out 10 Easy-to-Use Tools for Creating Animated Images and Videos.